As always, when I finish writing a Captain Lacey mystery, my thoughts turn to the next book in the series. I’ve decided to keep Lacey in London for another adventure–I’ve wanted to learn more about Peter Thompson of the Thames River Police (first introduced in The Glass House) and explore what the River Police did. 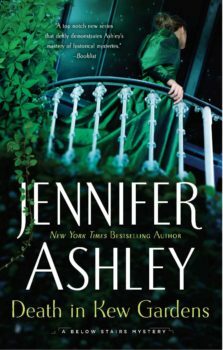 So Thompson will come to Lacey and ask for his help on a cold case, which will also allow me to explore more of Regency England’s culture, the side of it left out of most Regency-set novels. We also need time to let things happen in Lacey’s home life. After that, I do want to get Lacey and Grenville to Egypt! They’ve been talking about it for two years (their time), and they need to be off. I am fascinated by the early archeological expeditions, notably those by the strongman, Belzoni. The plundering of the past was about to take off, which also gave birth to careful (and not so careful) archeological studies. 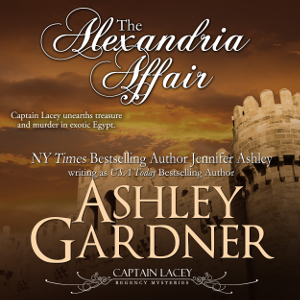 The Alexandria Affair has also been added to my writing schedule and the “Forthcoming” page. We are still on track for the Oct 20 release date of Murder in Grosvenor Square! I am so excited about another Lacey book so near to release. I hope when you mentioned his home life, there’s no trouble between him and Mrs. Lacey on the horizon. In fact, it would be wonderful to see another little Lacey in the making. Just putting in my two pence. Thank you for such a wonderful and so attention grabbing series. Love, love, love the Captain Lacey series. Please, write more soon! Yes! All my books are (and will be) available from Barnes and Noble, Amazon, iBooks, Kobo, and soon Google books. And in print from B&N, Amazon, and wherever else you can order print books. Another Captain Lacey fan. Senior at 62 so I need these books to keep me going. Lost my husband 10 Years ago, love of my life 32 Years of marriage and finding real life lacking now. Love the ideas you have for moving forward with Lacey. I ABSOLUTELY love the Capt..Lackey series, have purchased all of them, and can not wait for the next one. I also am very excited to hear about the plots for the next two. River Police and then finally Egypt! Amazing !!! !